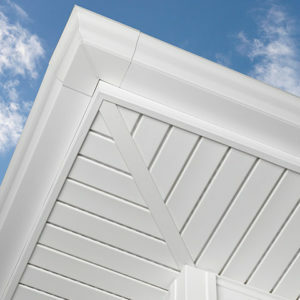 Ply Gem’s metal soffits combine the strength, performance and good looks of premium grade aluminum. Unlike wood, aluminum doesn’t rot, plus it resists insects and fire making it a trusted, low-maintenance choice for your home. You can choose from solid and vented options in durable finishes and a variety of matching and coordinating colors.